Instagram: when does influencer advertising become marketing fraud? As a self-confessed Instagram addict, I am all too aware of ‘sponsored posts’. And, I won’t lie, they take me through a range of emotions. My initial, involuntary, reaction is nearly always, ‘Ick. Sell out.’ Then, inevitably, my business, you-go-girl (or boy), head switches on and I think, ‘hell, a girl’s gotta get paid.’ You see, while many influencers use their Instagram pages as the gateway to their profitable-advertising-driven blog, it is often, for many, a pretty good way to bring in some cash all on its own. We all know that influencers are the magazine editors of the modern day, and those that have successfully racked up an impressive amount of followers would, I imagine, find it hard to resist the large corporations that will inevitably come a knocking, offering either product or monetary remuneration in return for a cheeky little promotion of their brand. It happens across all industries – it’s rife in my mummy-blogger world (the Dorset cereal promo was a low point for a few popular mum Insta faves). Meanwhile even the aloof interiors set aren’t adverse to it – one such interior designer accepted the lure of cross-industry advertising and replaced home for fashion by promoting Moschino clothing on her Insta feed, which, to me, is a little far. However, despite the obvious pros for the blogger (aka cold hard cash), using Instagram as a sponsored tool does come with some pitfalls. Do too much, and you’ll start alienating your loyal fans that come to your page as an escapism from their reality – I know that Dorset Cereal debacle made me hit the ‘unfollow’ button. Likewise, choosing who you promote is key. I’m sure we’ve all heard about that ongoing scandal raging across the yoga community on the ‘gram. Again, upon reading about the questionable ethics of said brand in question, I have unceremoniously unfollowed any yogi blatantly promoting its wares. 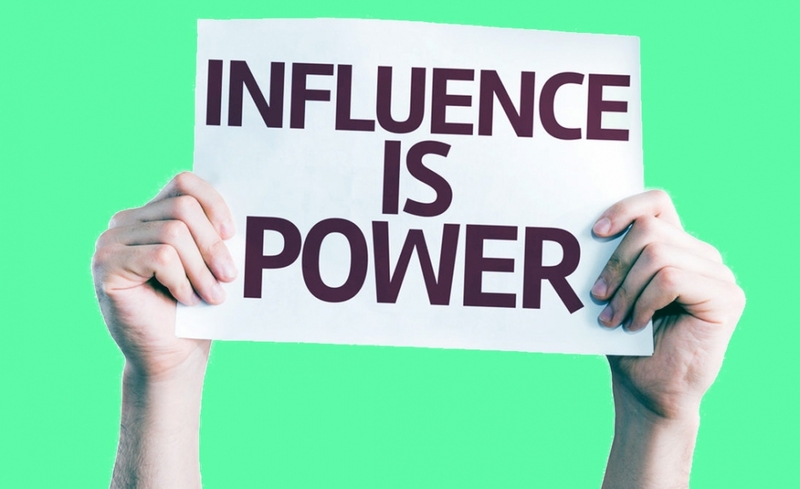 In essence – do your research influencers, after the Harvey Weinstein scandal – people care. Of course, it’s not just the annoyability behind these posts that are questionable – it’s the authenticity and ethics. When a beauty blogger or Instagram sensation trials a product, then adds the inevitable ‘ad’ or ‘spon’ tags deep in the ether of their comment section, I have to say I feel slightly conned. Do they really like this product, or are they merely luring in me in in order to line their own pockets? And then there’s influencer fraud. Yes, according to data from anti-fraud company Sway Ops, along with the rise and rise in influencer marketing, is the rise and rise of influencer fraud. Shocking statistics taken from a Digiday cheat sheet show that one day’s worth of #ad or #sponsored posts contain over 50% fake engagements – i.e. bots. In fact, out of 2000 sponsored posts analysed, only 36 contained no fake comments, fake likes or uneven ratios of bot followers to engagements. Mind blowing. And it seems most users are in agreement – buying followers constitutes fraud, but the jury is out on whether ‘pods’ – a group of 30 or more Instagrammers working together to comment/like, ‘hack’ Instagram to artificially boost each other’s posts – falls under the ‘F’ word. But what is clear is that this level of engagement is not authentic, and as such, the growth potential of a particular Insta page will always rely on this method and therefore will fail should, for whatever reason, they stop.